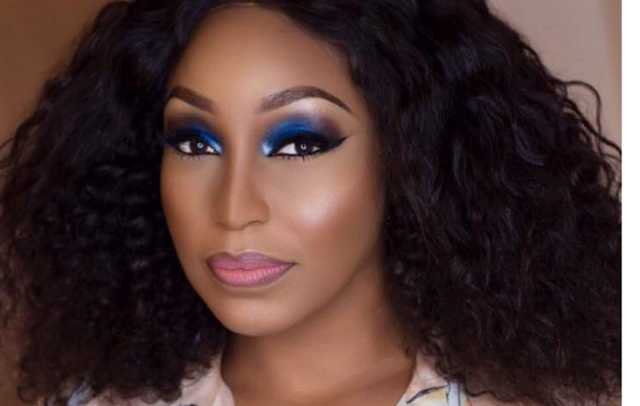 After Nollywood veteran actress, Rita Dominic gave a comment recently on the quality of Nollywood movies that show in the cinemas, there have been various reactions to her stance. Rita had taken to her Instagram page to share a quote on why there are bad films. She also stated that not all Nollywood movies should be in cinemas, advising filmmakers to ensure that the quality of their work matches the hype they create for it. ”AN APPEAL TO #RITA_DOMINIC – From Don Pedro Obaseki. Ma, humility is a virtue, and caution ain’t cowardice! I remember a few times around 2003-2006, when you used to “sweat” at Chico’s in Bank Olemoh, roaming from one set to the other, while recording TWO or THREE movies at the same Time! Please dearie. Leave that Table alone. It is fragile and you are right atop it dressed in your Sunday Best! But the table floats on the Lagoon of filth and jaded black trash. You may slip headlong into the murky lagoon, and because you’ve maligned all that may be willing to lend you a helping hand, you may be left to drown with no one to help pull you ashore. Life is a trickster. Let it not prank you. Learn that there’s nobility in humility. No be beans, my dear. As a free-spirited “young man”, I offer this ” small advice”, albeit with NO PREJUDICES. Your journey from Choba & Delta Park in Uniport to where you are now is worthy of commendation. Don’t waste it on an ego-trip. Please remain assured of my most esteemed regards. -Don Pedro Obaseki, MBA, PhD. Not only Don Pedro, blooming Nigerian movie producer, whose first three movies have been blockbusters, Ayo Makun AKA also had something to say to the actress. “Rita Dominic actually made her point. I had a chat with her on other issues barely 24 hours before her post. I guess it was just a general statement to better the industry. I am only a baby producer in the industry with 3 movies that made it to the cinemas with good box office records/Guinness world records. Judging from where we are coming from, I’m impressed with the growth of Nollywood. “Unlike Hollywood, with little or no budget we make cautious effort to tell our stories. I am also open to any positive criticism that we help me improve in these line of business. If anyone describes my work as hype, i will let the person understand that the hype man’s job is to get everybody out of their seats and on the dance floor to have a good time. But you have a right stop dancing when you are not feeling the music. In other words hype without hardwork would only last for a short time. I won’t be hyping The Yoruba Demons without content. I don’t care about what other producers are taking to the cinemas’.